If you're short like I am, you can probably relate to seat belts being slightly uncomfortable. Even with the seat belt on the lowest setting, it still brushes my neck quite a bit which has irritated me for YEARS. 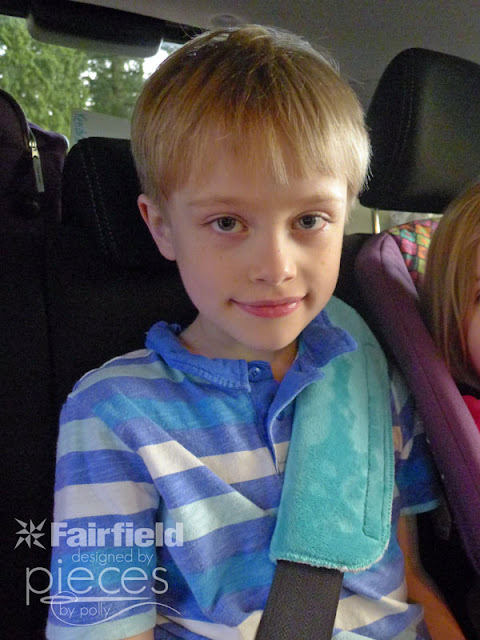 I finally came up with a quick and easy solution...a little padded sleeve with support foam stabilizer inside and super soft cuddle fabric from Shannon Fabrics on the outside. 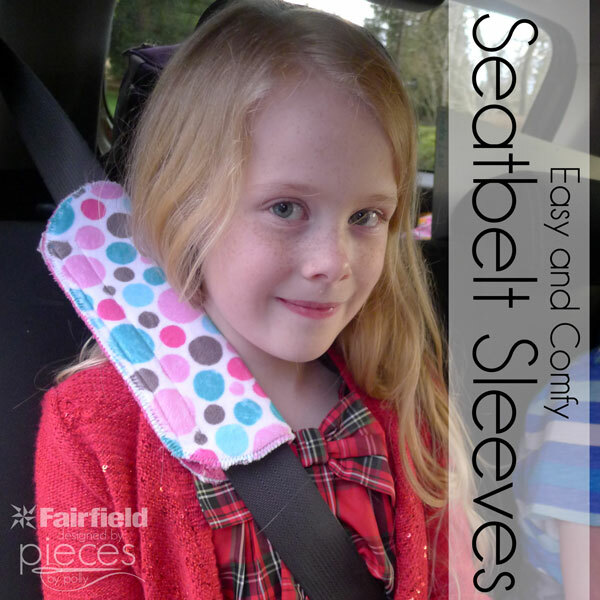 You can go to the Fairfield Website here to see how to make your own Easy Seat belt Sleeves. 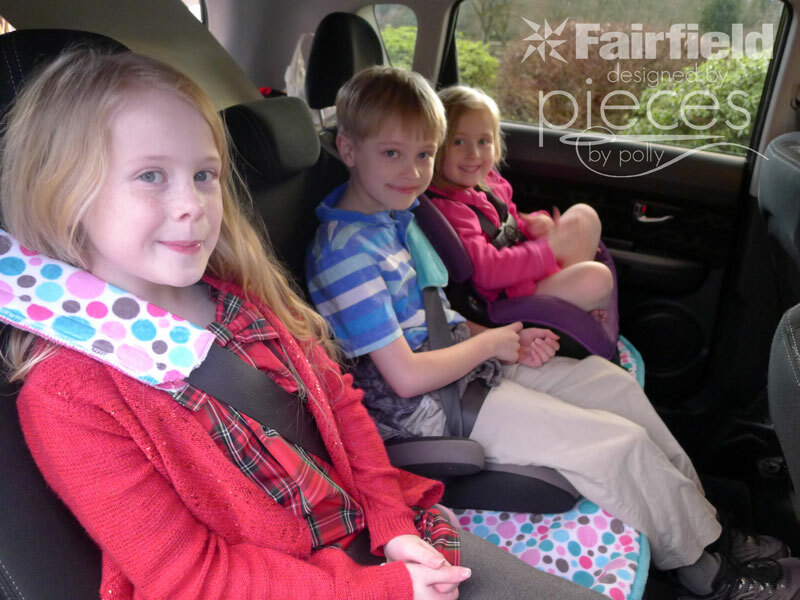 And you can go here for my tutorial for making the nifty Back Seat Saver Upholstery Cover the kiddos car seats are on.